The Halo 4 Campaign theater mod is back, and this time with a 10+ minute video that kept my interest every second – and that’s saying something. Beautiful, striking, emotional, this professional-grade campaign feature video uses excellent music choices to evoke the feeling of surreal, epic adventure Halo 4 was meant to be. Unfortunately, the videographer had to do it illegally, in another example of Microsoft and 343 cutting off the hand that feeds. Because, if we had been given Campaign theater mode, or simply allowed to use the mod without fear of the ban, videos like this one would populate the web, encouraging people to play their game and continually producing free advertisement for Halo 4. “Beautiful Campaign” almost made me want to play campaign. Almost. It allows us to appreciate the artistry of the Halo 4 Campaign, even if we aren’t happy with the end product. And these artists NEED to be appreciated. Watching this video it becomes mind-bogglingly clear that much of the artistry of Halo 4 goes above and beyond the quality of the game itself. One might even hazard to say that it carried it. I have no idea how many artists or who exactly is responsible for which visual elements within the Halo 4 Campaign story, but after seeing the images in this video it’s natural to think that it should be well known who exactly designed the Promethian structures, who designed and created this or that landscape. Your names should be well-known, you artists, your faces should be well-known, because you my friends are ROCKSTARS! Watch the video and see for yourself, all the while marveling: This guy (or gal) had to create this video without consent, nay, with the possibility of having their Xbox and IP banned from Xbox LIVE. Is this intelligent marketing? What do you think? you know, the fact that this mod was made at all, you would think there’s a location you could download it from. I’ve been looking up and down the internet for a place to download this mod or something similar. unfortunately, unsuccessful. I am no game designer, so I don’t know what impact turning on Theater mode will have on the rest of the game. 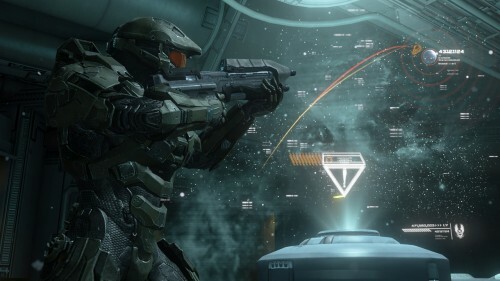 Frankly, I think that ship has passed and is something we will not see in Halo 4. I do hope that Halo 5 does have it though, because if the graphics are going to be as good as the hardware suggests, then the screen captures will be even more beautiful.